All insurance provider have their own medical plan with Medical Card. But PRUhealth not just another medical rider plan which cover your hospital expenses (Medical Card). Because PRUhealth reward you with NCB (No Claims Bonus). Means if you are healthy throughout the year, Prudential reward you. Before PRUhealth available in the market, Im having another medical plan since 2 years back. I never use my medical card to reimbursed my hospital expenses because I never ill or got any accident. I pay premiums every months and nothing benefits me as im healthy 😦 . How much PRUhealth will rewards you? I choose PRUhealth 200, hence my NCB is RM300. Hopefully next year, I will receive RM300 reward. Why you should have PRUhealth? Those who have insurance are concern about their health. By having medical insurance, major medical expenses will be covered and you have no worry about money. You have been paying premiums for 5 years and yet nothing been covered by your insurance as you are not sick. At this stage, you must be thinking that you are paying for nothing every months. You should been covered when you need it and you should be rewarded if you are healthy. 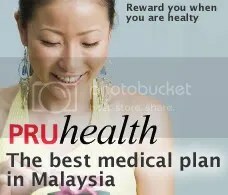 A to Z info regarding PruHealth Malaysia? 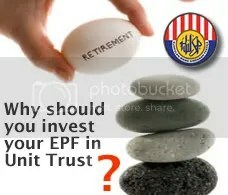 This entry was posted in Insurance / Takaful and tagged agent no 1 malaysia, agent no 1 prudential malaysia, ampang, bandar tun razak, bandar utama, bangsar, bukit bintang, bukit tinggi, cheras, Cover Pregnancy Complications, Cover while pregnant, damansara, damansara perdana, Education Plan, ejen prudential, firdaus prudential, Gives you bonuses when you are healthy, gombak, H1N1, health insurance, Insurance, insurance for children, insurance for expatriate, insurance for foreigners, insurance for kids, insurance for lady, insurance for woman, insurance malaysia, jalan klang lama, Kad Perubatan, kelana jaya, keramat, klang, klcc, kota damansara, kuala lumpur, kuchai lama, Malaysia, maternity insurance, Medical Card, Medical Card till age 100, Medical Insurance, mont kiara, Non Claim Bonus, petaling jaya, pregnancy insurance, Pru Health, Pru Health Malaysia, Pru My Child, Pru MyChild, Prudential, prudential agent, prudential blog, Prudential BSN Takaful, Prudential Insurance, Prudential Life Insurance, Prudential Malaysia, Prudential Medical Card, PruHealth, PruHealth Malaysia, PRUmy child, PRUmychild, puchong, putra heights, putrajaya, rawang, reward healthy, risk insurance, Savings for Children, selangor, setiawangsa, shah alam, subang jaya, sungai buloh, sunway, TTDI, wangsa maju, What is PruHealth, What is PruMy Child, What is PruMyChild. Bookmark the permalink. is NCB pay us a CHEQUE if no claim for a year? Does those existing PruHealth 200 entitle the no claim bonus too? I bought it 2 years ago. You just go and upgrade then. Previously not PRUhealth. Which PRUhealth plan you are taking? i sent you an email. medical insurance payment as long as you live. no claim bonus every year is RM300. 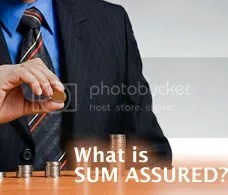 No claim at all you calculate how much bonus you have. Plus investment money been grow in your investment account. with RM200 per month savings with us. boleh dptkan brochure mengenai kad perubatan dan simpanan utk saya, suami dan anak. adakah plan yang melindungi kesemua ahli keluarga. Sila check email for brochure. PRUhealth not a family plan. Each of you must sign up with PRUhealth. Individual plan. Could you pls email me the brochure of pruhealth. Thanks. 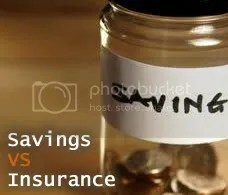 i wanna hv both med coverage & savings. which package is the best 4 me. i also like to hv a retirement fund. please advise me on this. tq. PRUlink assurance plan + Medical card PRUhealth. 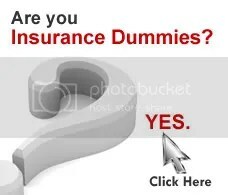 hi, does it cover all critical diseases?and what is co-insurance?